Savings Calculator Try our sav­ings calculator. You’ll be sur­prised how quickly a CR Solar en­ergy so­lu­tion will pay for it­self and more.Grid electricity prices continue to rise and your electric bill has gone through the roof. Change the rules! Start out with a small, affordable system today; use the saving to add panels and you will eventually reduce your bill to almost nothing. We have affordable solar panel systems that can save you money starting this month and by using the savings to add more panels to the system you will eventually reduce your bill to almost nothing. Yes. Its true. Start out with our 3 panel, 750W system for $2,400, save $36 per month. Use that savings to buy additional panels every few months until your electric bill gets reduced to almost nothing. Most companies want to sell you a large system that costs many thousands of dollars, our system is reliable, commercial quality, but it is modular so it can be increased in size at any time. When we add panels, we give you credit for any existing cables and only charge you for the additions. Expat or on a fixed income? Advanced Calc. Try our En­ergy Sav­ings vs. In­vest­ment Calculator. You’ll quickly see that a CR Solar en­ergy so­lu­tion is one of the best in­vest­ments you’ll ever make.Is your electric bill now $300 to $500 per month or more? Are you getting 0.6% on your CD or savings account, only to watch that income evaporate when your electric bill arrives? 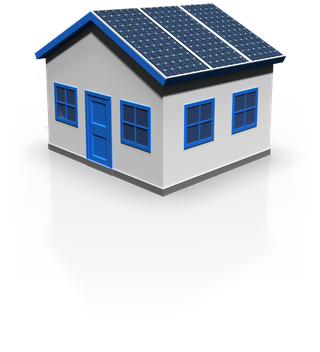 Invest your savings in a solar panel system and get a 17% return on your investment. Given Costa Rica’s current $0.50 cent/kWh, a $15,000 investment in a 5Kw system will yield a tax-free savings of $275/mo. or $3,300 in savings per year, every year. If rates continue to rise, the savings grows higher. This is a 4 year and 1 month return on your investment if rates stay flat and 3 years and 3 month return if rates continue to increase 15% each year. Recent history shows the rate increasing even more than that.